To paraphrase from Rocks and Landscapes of the Chillagoe District by W. F. Wilmott and D. L. Trezise, 1989, Queensland Government Natural Resources, Mines and Energy, Queensland Department of Mines, ISBN 0 7345 2486 2, pp 15-16…. 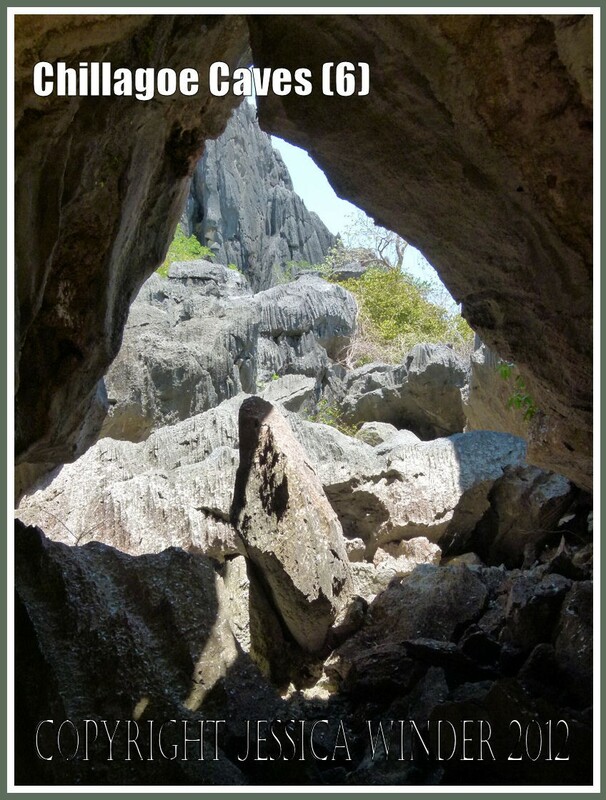 ……the Chillagoe limestone is composed of calcium carbonate which is resistant to chemical and mechanical decomposition and has the tendency to remain as rocky ridges standing proud of the landscape (the limestone karst topography). However, despite its resistance to decomposition, the limestone that forms the karst scenery in this part of Queensland, Australia, is soluble in rain and groundwater because dissolved carbon dioxide from the air or decaying vegetation makes the water slightly acidic. This slightly acid solution travels down cracks and crevices and is most active just below the ground surface, where there are seasonal fluctuations in groundwater levels. Cavities are formed where the acid dissolves the rock and caves are gradually formed. As the surrounding ground surface is slowly lowered by erosion over millions of years, the groundwater levels fall, leaving behind the former caves and gradually dissolving out their floors and new deeper passages. At the same time. rainwater with dissolved calcium carbonate percolates into the caves from above. On surfaces exposed to the air, release of carbon dioxide, or evaporation of the water, leaves behind the carbonate in the form of cave decorations (stalactites and stalagmites, etc). 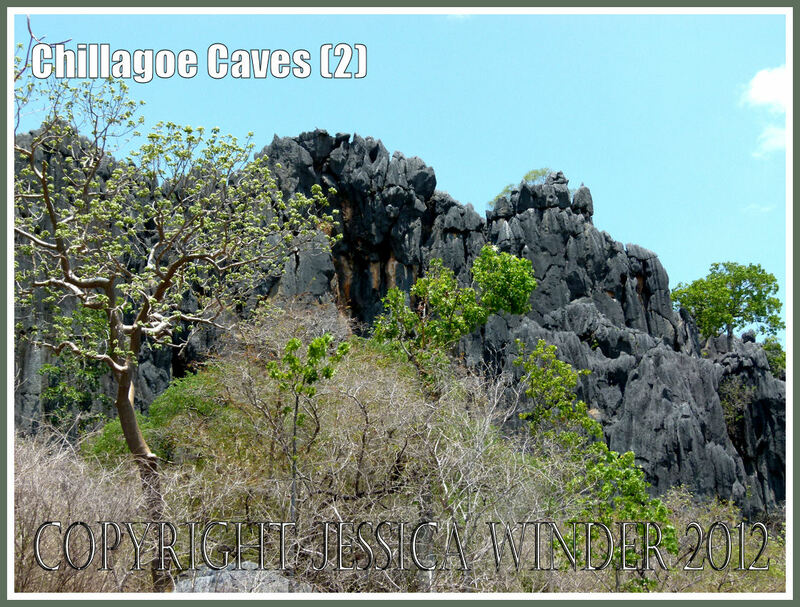 The photographs in this post illustrate some of the redeposited lime cave decorations. Stalactites form from the cave roof downwards. Stalagmites form on the floor and build upwards. Helictites form sideways. Shawls form draperies or bacon stone. Sometimes the lime deposits are sparkling calcite crystals. 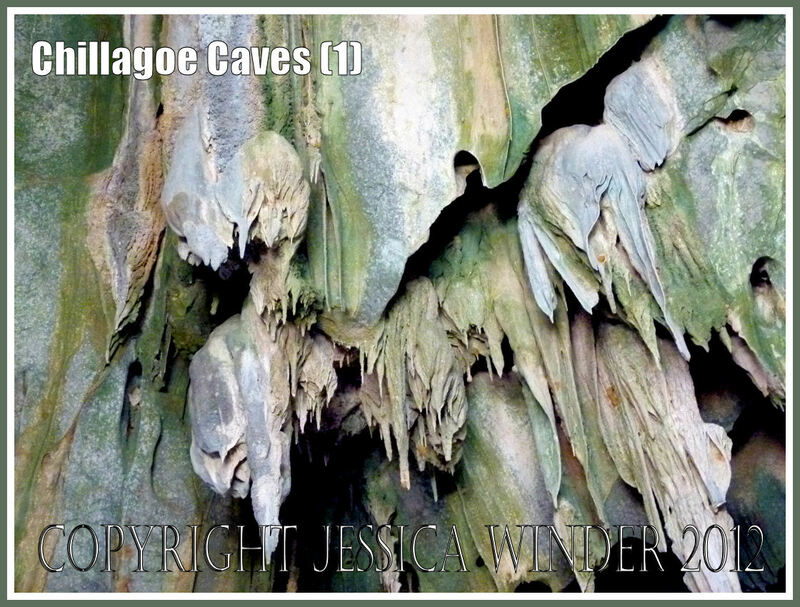 At other times knobbly formations with a chalky surface create what is known as cave coral. 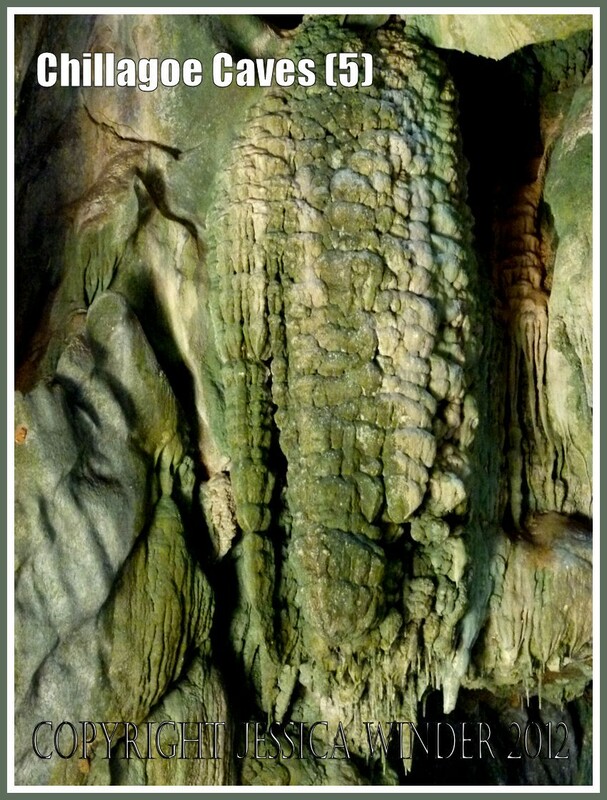 When cave roofs collapse and light floods into the caves, a thin layer of microscopic green algae grows on the cave decorations. 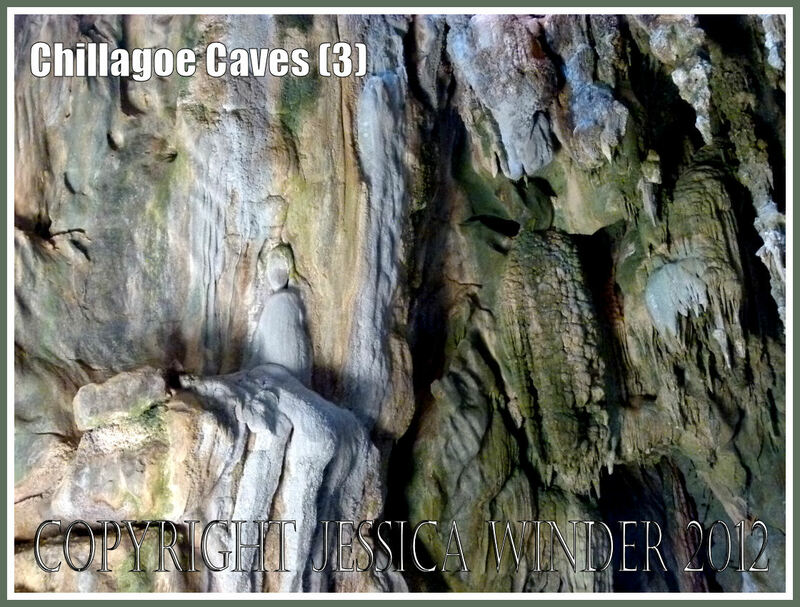 Most of my cave interior images from Royal Arch caves were taken where this had occurred. 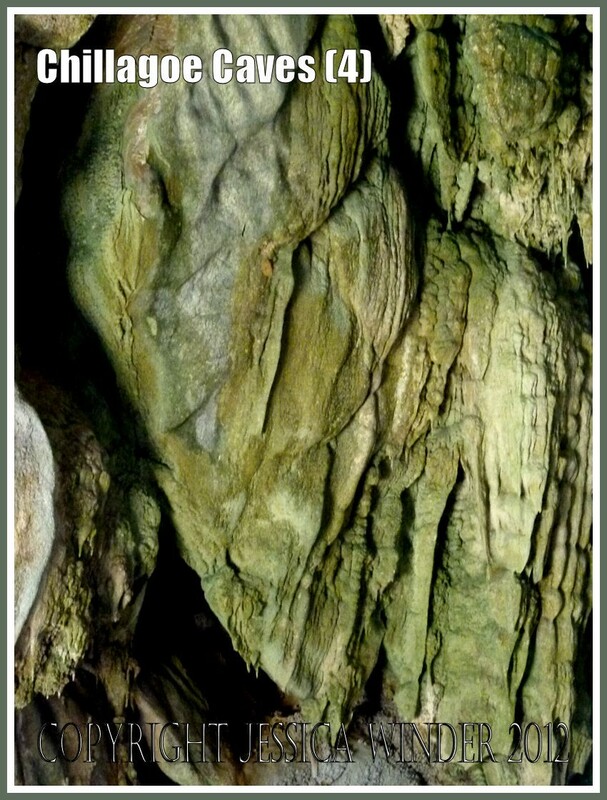 Picture (2) shows the limestone rocky tower beneath which the Royal Arch caves had formed. Royal Arch, Donna and Trezkin Caves can only be viewed with a guide. For the more adventurous, brave, and very fit, The Archways, Pompeii and Bauhinnia Cave can be explored without a guide and many personal challenges. Oh they are marvellous ! I wish that I had been brave enough to explore some of the other caves without a guide.